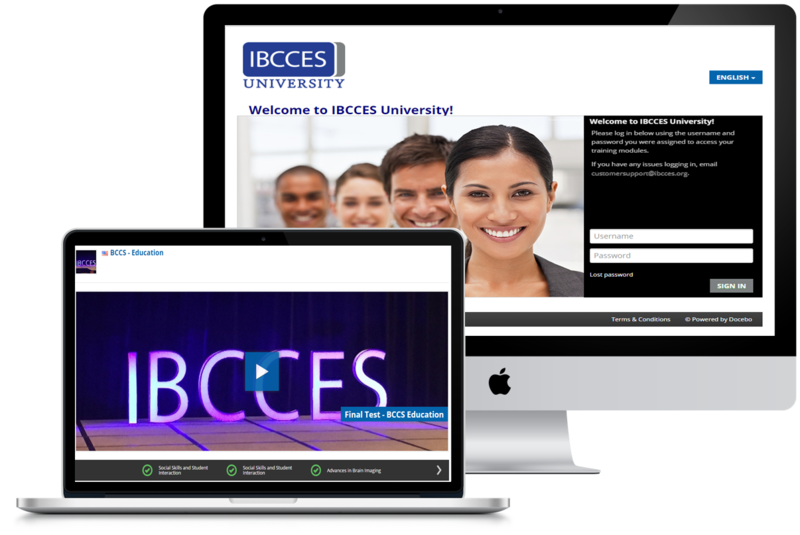 IBCCES is a global leader in online training and certification programs. One of the courses delivered through IBCCES University is our Online Autism Training for the Certified Autism Travel Professional program. Not good with computers? Don’t worry. From a computer standpoint, the program is user-friendly. Our format makes our training available to anyone in the world with a strong Internet connection. In case you run into problems, our Customer Support team will be available to help. Below you will find information about the Online Training Course for the CATP. Tests are administered in the form of multiple choice. Applicants must demonstrate mastery by passing a post-test with a score of 80% or higher. Every test is graded automatically through the IBCCES system. You receive results shortly upon submission. You will be provided with an IBCCES University study guide prior to taking the online autism competency exam. IBCCES University provides all the materials necessary to successfully complete the CATP training course for CATP applicants. These include a handout that participants can use to take detailed notes for each session. All PDF files throughout training will also be available for download. A comprehensive Study Guide is also available for the Certification Autism Travel Professional exam. You will receive a full study guide for your online autism competency exam. Your training account will also include reading material available for download. The online training program is extremely easy to use. However, if there are any questions you may contact customer support at any time for assistance. Upon completion of each session, participants will need to complete a 3-5 question multiple choice quiz that is graded and instant results are available. The purpose of the post-test is to reinforce learning while providing you with a measurement tools to test your understanding of the content on that particular module. Participants can go through the course at their own pace; given a maximum of 30-days to complete. In case a participant does not complete the course within the 30-day period, he/she may request for an extension for a fee.